I suspect that yesterday will go down as the day that a war to suppress separatists in eastern Ukraine became the first “Russo-Ukrainian War.” It is now clear that regular Russian military units are fighting alongside Ukrainian separatists and Russian irregulars (“military tourists,” many of whom have received training at a base near Rostov). Over the past several weeks, it appears the Russian irregulars have begun to outnumber Ukrainian separatists among the combatants. They have now been joined by growing numbers of Russian regulars, including elite special-forces (Spetsnaz) units – the “Polite Little Green Men” who were so effective in taking control of Crimea in February and early March. US intelligence sources claimed today that at least 1,000 Russian soldiers are now in Ukraine, and informally American officials are telling reporters that figure is probably more like 2,000 or more. As this suggests, yesterday’s news from the military front was terrible for Kyiv. Most alarming were developments in southern Donetsk oblast, along the Sea of Azov, where Russian/pro-Russian troops and armor crossed the border and by early yesterday had taken control of a number of villages. They followed up by taking the town of Novoazovsk, where Ukrainian sources say at least 13 Ukrainian servicemen were killed. Video and photographic evidence confirms extensive shelling and rocket attacks on Ukrainian troops in the Novoazovsk area. We cannot evacuate our wounded yet. Today is the decisive day. I believe, I hope. We’ve gathered up everyone who could be. All the promises have been made. We’ve fulfilled our duty, now we’re waiting for THEM to fulfill (sic) theirs. We can wait no more. We have been deceived once again. I’m calling on all Ukrainians with an appeal to save our brothers. If their many-starred generals were thrown in, I don’t believe the people of Ukraine would abandon them. No help of any kind is coming today. Elsewhere, Ukrainian forces retreated from Starobesheve, a town to the south of Donetsk, as well as from the strategic heights of Saur-Mohila, which they had been fighting to secure for weeks. Russian regulars also reportedly established battalion headquarters in the village of Pobeda, south of Snizhne, and another in the vicinity of Krasnodon. More tanks and armored vehicles coming from Russia made their way into Luhansk, and a column of some 100 Russian military vehicles was reportedly moving south from Starabosheve towards the Sea of Azov. For good reason, then, the Ukrainian leadership is clearly extremely worried about the vulnerability of its forces in the zone of conflict, although they are also trying not to panic the public or dishearten Ukraine’s fighting forces. Today, Poroshenko called off a visit to Turkey and instead convened an emergency session of the National Security Council. Obviously, Ukraine’s leadership will have to make some very difficult decisions about whether to press ahead with the assaults on Donetsk and Luhansk, put up a maximum defense of Mariupol, order withdrawals from areas previously seized from the separatists, and so on. The $64 million question, then, is what are Russia’s military objectives with this latest escalation? One important point is that, at least for now, Moscow does not appear to be trying to inflict maximum harm on the Ukrainian military. It has yet to use aviation in the offensive, and instead is denying Ukraine control of the airspace using SAMs and other mobile anti-aircraft defenses. Nor has it attempted to seize airports or land paratroopers in the Ukrainian rear. And they do not appear to be trying to envelope Ukrainian forces through simultaneous pincer-type attack from the south (Crimea, the Sea of Azov) and north (above Luhansk). What, then, are Russia’s objectives? It strikes me that there are at least five possibilities. First, it is possible, as a number of Western government sources have suggested, that the intent is simply to put Russia in a better bargaining position in political negotiations with Kyiv. That, I think, is very unlikely. As I argued last week, I am convinced that a military “solution” is going to precede a political settlement, at least in the sense that a political settlement will follow one side or the other more-or-less prevailing on the battlefield. And I suspect that Moscow is convinced of that as well. Moreover, I do not think that the Kremlin believes its objectives in Ukraine can be accommodated by a political settlement with Kyiv, at least for now. A second possibility is that the thrust toward Mariupol is intended to draw Ukrainian forces out of the conflict zone to the north, thereby making it easier to force a Ukrainian retreat from the Donetsk and Luhansk areas. (So perhaps something like the new front lines described in the Ukraine@War website a couple of days ago). 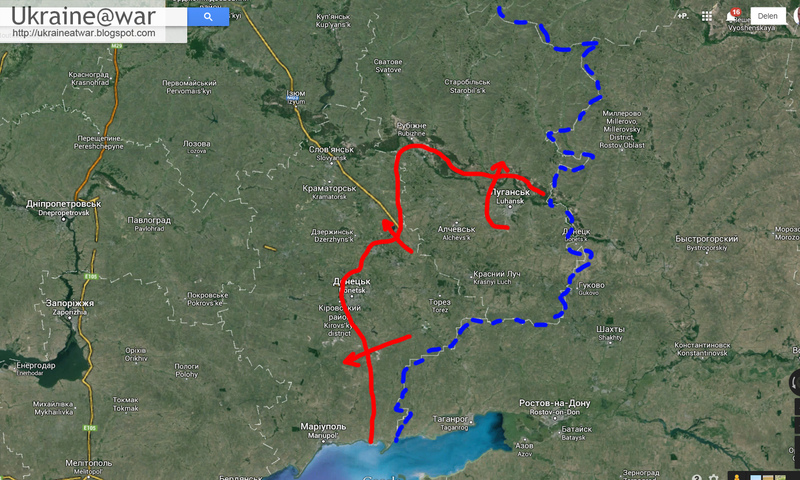 If so, then the move toward Mariupol is a feint, and the main target of the offensive will be in the north. 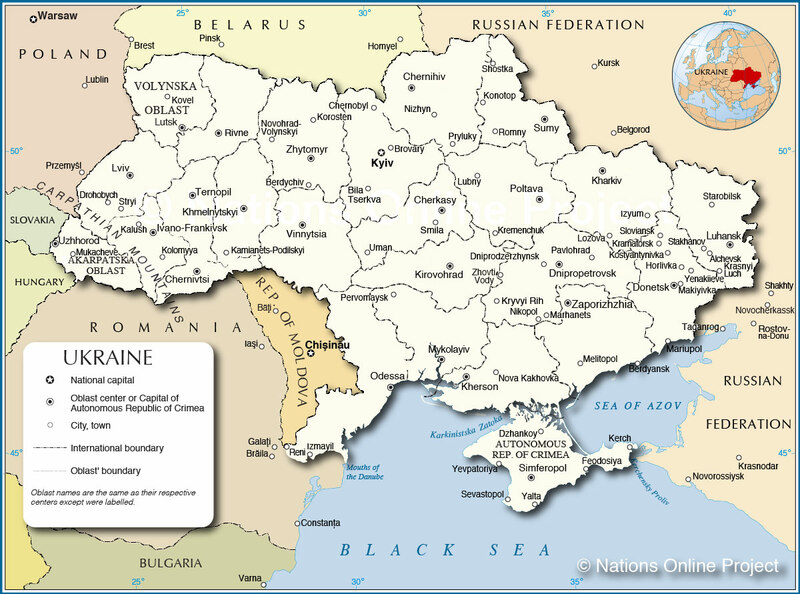 The political goal would be the establishment of a “Transnistria on the Donbas” – that is, a breakaway “Novorossiya Republic” that becomes a Russian protectorate (with an outside chance that the goal is to annex the territory, as in Crimea). Just where that protectorate will end – what its borders will be – is, however, entirely unclear. Unlike in Crimea, there is no clear geographical or political/administrative boundary for “Novorossiya.” If, however, the Russian/pro-Russian forces in the south attempt to take Mariupol, then I think the “feint” scenario can be ruled out. The Ukrainians have significantly reinforced Mariupol over the past two days, and an assault on the city is likely to be bloody. (The city had a pre-war population of just under 500,000, compared to 425,000 for Luhansk and just under 1 million for Donetsk.) So assaulting it is probably only worth it if the intent is to take it permanently and join up with forces coming from Crimea to establish a permanent Russia-Crimea land corridor. As this suggests, a third possibility is that the objective is not just the establishment of a Novorossiya protectorate around Donetsk and Luhansk but also taking control of, and perhaps annexing, a corridor along the Sea of Azov. The corridor would link the Russian mainland with Crimea, thereby ameliorating a huge problem for Moscow, which is supplying Crimea with the food, water, and goods to keep its economy from collapsing. If so, the shoe will be on the other foot as far as urban warfare is concerned – that is, it will be the Russian/pro-Russian forces that will have to take a city from well-armed and determined defenders, not just the Ukrainians having to take Donetsk and Luhansk. A fourth possibility is that Moscow intends to take control of all, or most of, Donetsk and Luhansk oblasts, Zaporiz’ka (Zaporozhye) oblast, and Kherson oblast (see the map below.) That, I think, would be very difficult from a military standpoint and even more so from a pacification standpoint. As a result, I think it is unlikely that that is Moscow’s intent. (An attempt to take the city of Zaparozhia is particularly unlikely.) Also, if Moscow intended to pursue this more ambitious program, it would probably have launched a full-blown “shock-and-awe” campaign, including extensive use of aviation. A fifth possibility is that Moscow intends to take and occupy all of the above and continue on into Odessa oblast, including the city of Odessa. The purpose here would be to establish a land corridor to Transnistria from Russia and also to weaken Ukraine permanently by cutting it off from the Black Sea. But this objective is even more ambitious than possibility four, and hence even less likely. My guess is that the third objective is the most likely (or perhaps least unlikely).